I am in awe of Italian women. They navigate cobble-stone streets in stiletto heels and maneuver motor-cycles and scooters through the crazy maze of narrow streets that is Rome. And, they are gorgeous. Not in the American, blonde Barbie kind of way. Few have perky little button noses. Having been blessed rather generously in the proboscis department, I`m heartened to see women who are not only comfortable in their natural looks, but who allow their beauty to glow. Three cheers for the Roman nose! Style is apparently important in ecclesiastical circles, also. 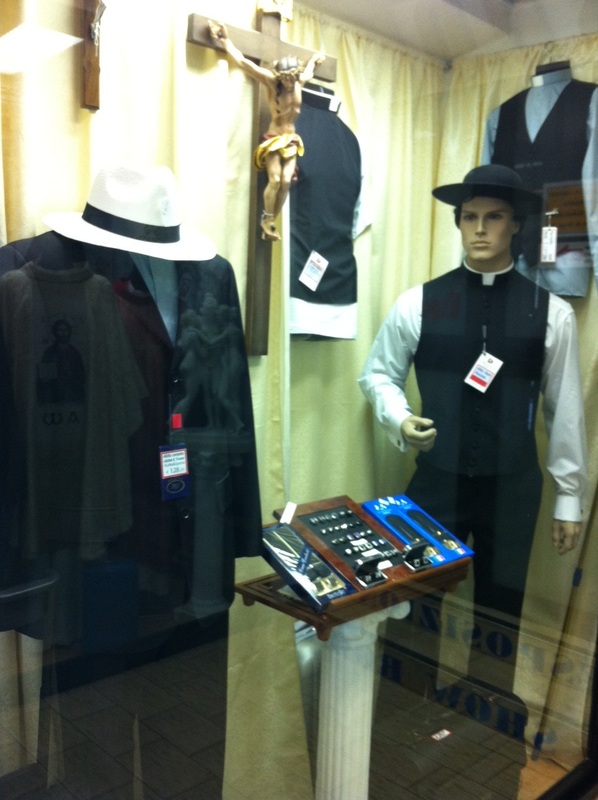 Window shopping in the vicinity of St. Peter`s provides an interesting diversity of wares. 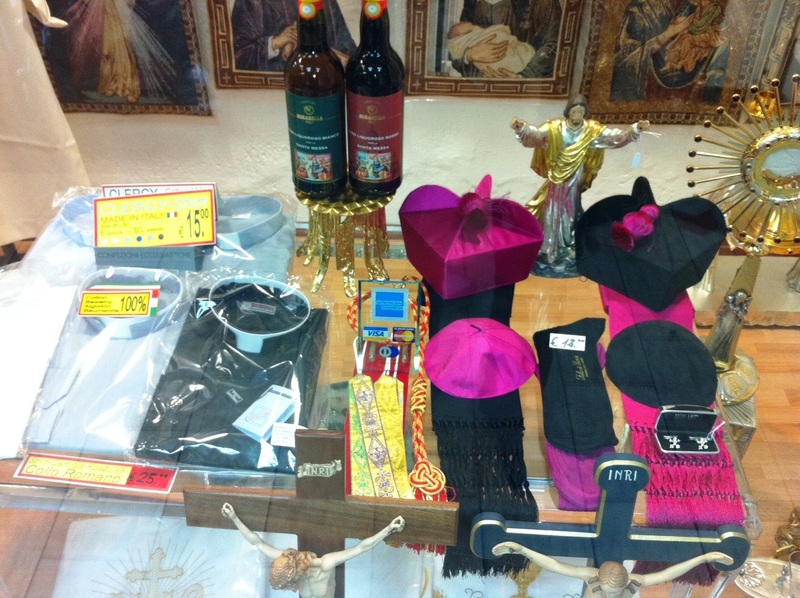 Souvenir shops filled with plastic Pietàs and glow in the dark rosaries share street space with high-end clerical fashion stores. There seems to be a market for these duds. Young priests and seminarians decked out in cassocks and impeccably tailored black suits abound. Hollywood casting directors wouldn`t have to look far for Bing Crosby or Spencer Tracey look-a-likes. Fabulous post. You take me right there. I love your descriptions of people wearing their natural looks with confidence, not trying to conform to an unattainable image.